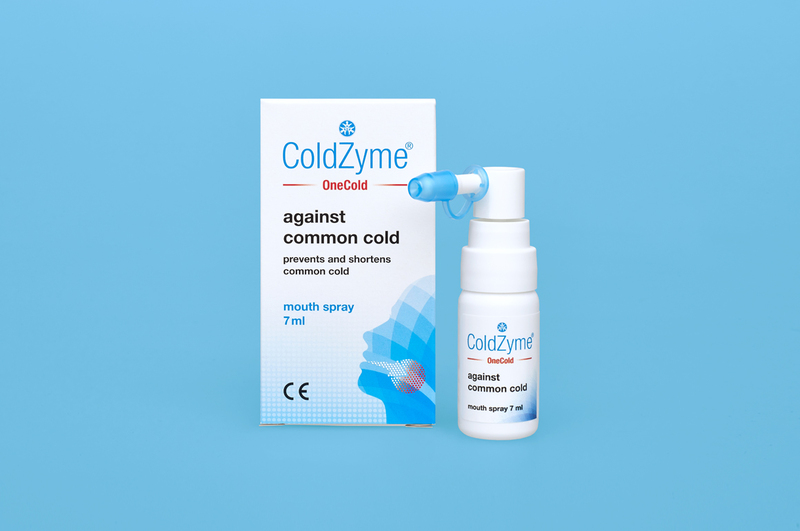 ColdZyme mouth spray is supplied by medical technology company Enzymatica. 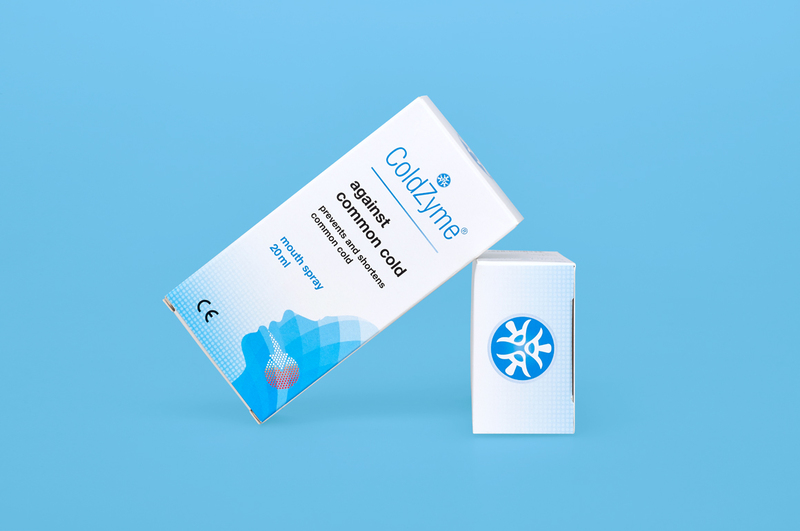 The product reduces the risk of catching a cold and can also shorten the duration of the infection. 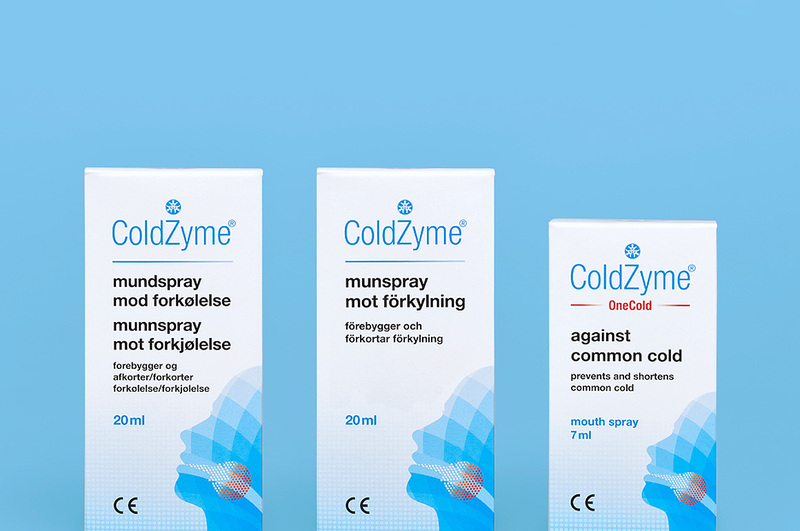 It contains an Arctic marine enzyme that creates a protective barrier against common cold germs in the mouth, nasal passages and throat. Kollor was commissioned to do a redesign of its packaging so as to clarify the characteristics of the product, increase brand recognition and differentiate the packaging in the well-stocked shelves of pharmacies. In conjunction with the redesign, special versions for the Nordic and UK markets were also created. 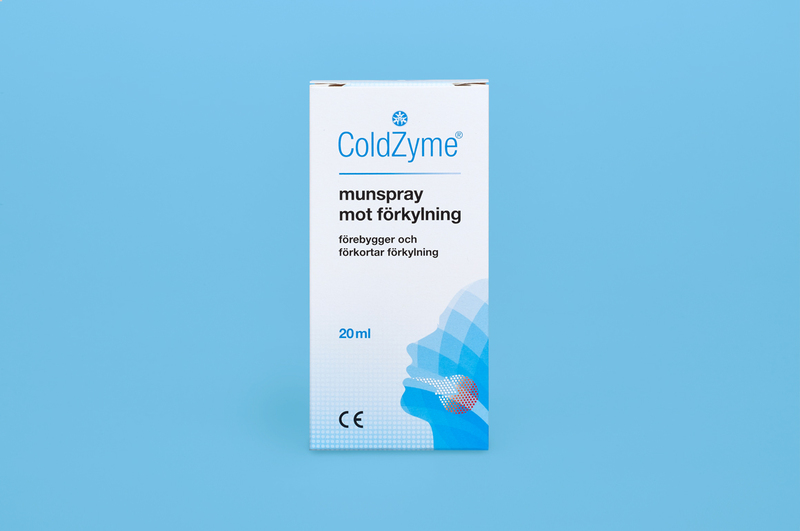 ColdZyme is available in all Swedish pharmacy chains where it has rapidly become a sales success. 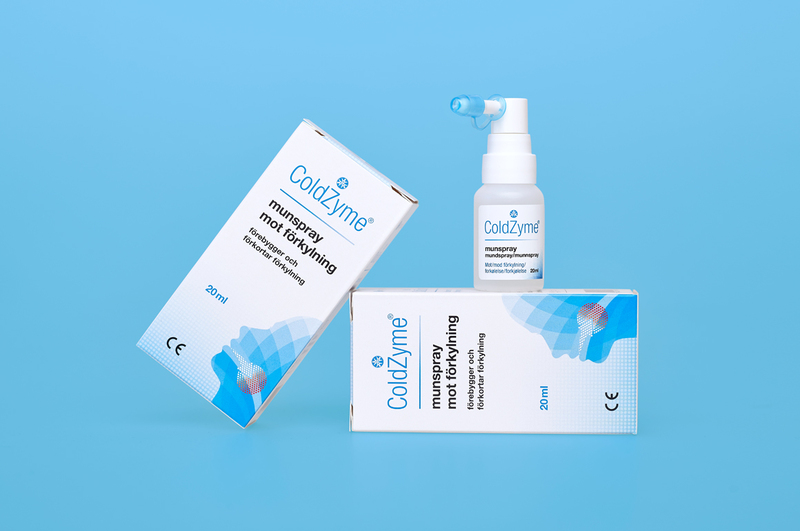 The product was recently launched in the UK.